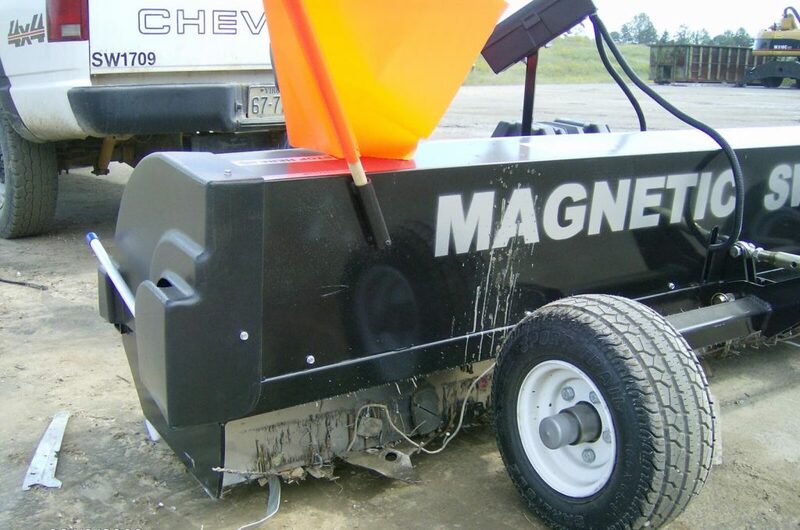 At Bluestreak we design our “all terrain” magnetic sweepers with a “Wrap around” feature. The “Wrap Around” feature specifically deals with the problem of “wipe off” that occurs when using magnetic sweepers on grass or weeds. With the “Wrap Around” feature the debris that is picked up gets pushed backward on the sweeper and then it simply snaps around onto the back of the sweeper without falling off or being wiped off by grass. Echo performing in grass with wrap around feature nails do not get wiped off or fall off. They just snap to the back of the sweeper. The problem of “Wipe off” occurs when grass or weeds brush the bottom of the sweeper and the debris that is attached to it is pushed backward on the bottom of the sweeper. 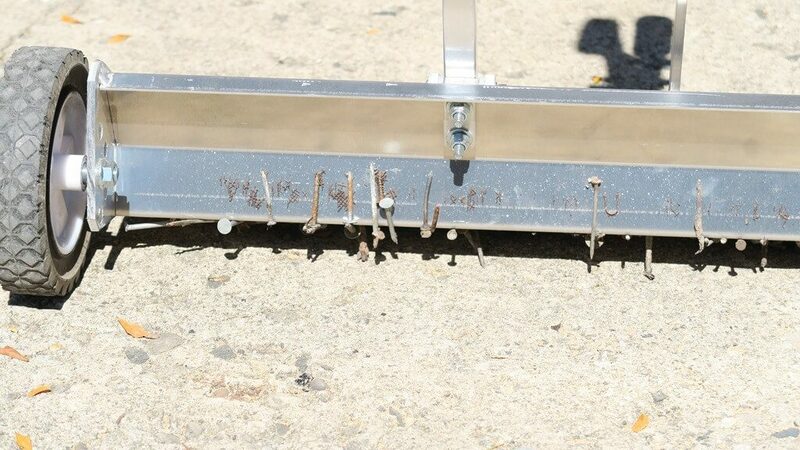 If the debris gets pushed to far back and out out of the magnetic field of the magnet, the nails or debris you picked up can fall off. 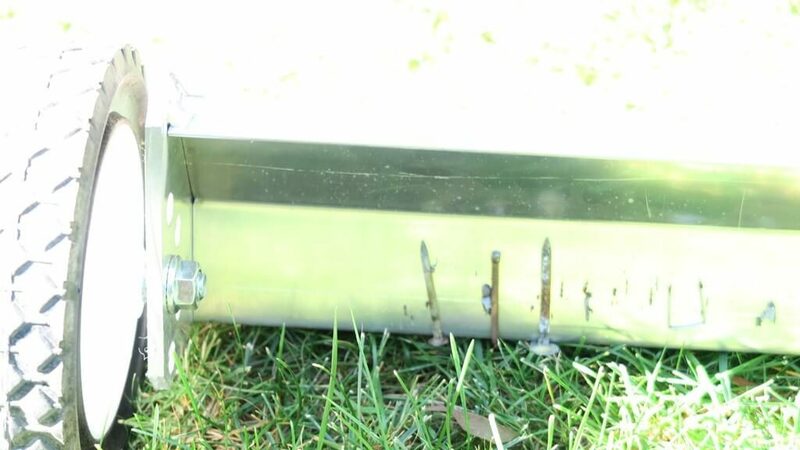 This can happen with many magnetic sweepers that have a magnet inside the housing where the magnet does not fill the entire housing. If you want a sweeper with our “wrap around” feature, take a look at our “Roofing Application” line of magnets or look for the “Wrap around” as a feature in the the product descriptions. Some of our tow-behind models such as the Aardvark also include this wrap around feature.